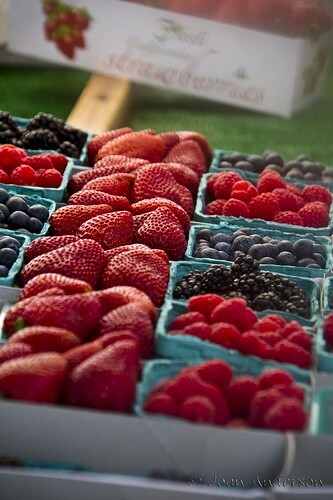 It was a beautiful summer morning, a perfect day to hit the farmers market for some fresh fruit and the veggies. I guess everyone had the same thought because it seemed more crowded than usual. One of the things I enjoy about the market is that you just can't rush it. 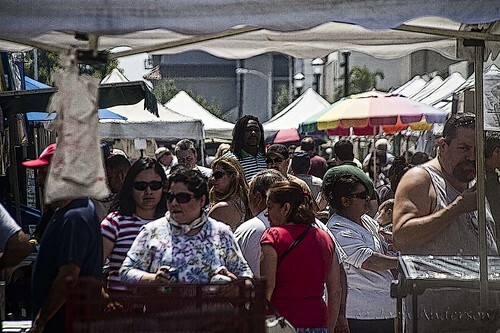 I like to take my time and walk around, try the samples, find the best tasting items. And, I usually go through the entire market before I buy anything so I know I'm finding the best items at the best price. 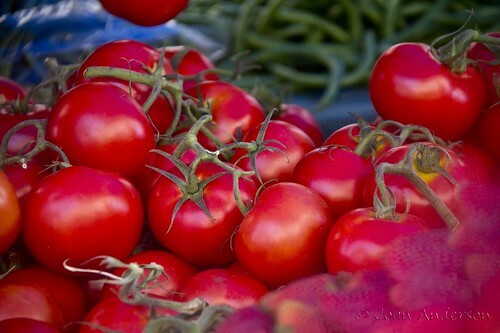 The tomatoes looked amazing, as did the berries. My backpack was full by the time we left.